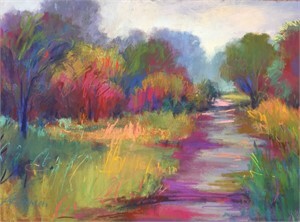 Linda Richichi combines the logical and emotional mind, where details and realism collide with color and abstraction. 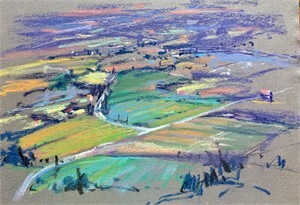 This exhibition presents pastel and “plein-air” paintings by the Sarasota-based artist. 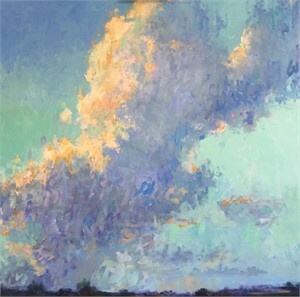 This body of work features skies, seas, and fields from scenes around Sarasota and recent travels. 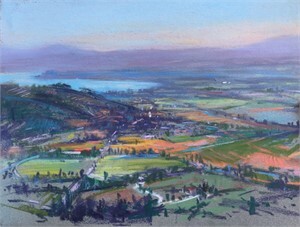 In addition to these small works, the show presents two large works that were directly inspired by her plein-air studies. This exhibition highlights not only Linda’s technical skill, but also her imaginative reinvention of what is in front of the eye, as her attentive use of color renders some areas as abstraction while others retain their representational hold on the natural settings of her work. 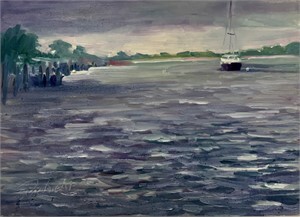 530 Burns Gallery will have an opening reception on Friday, August 10 from 6-8PM, and Linda will give a “plein-air” painting demo from 6-6:30PM underneath the Banyan tree between 530 Burns Gallery and Owen’s Fish Camp restaurant. 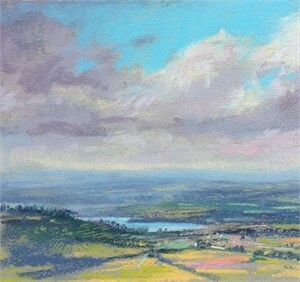 After graduating in 1994 with a Bachelor’s Degree in Fine Art from SUNY, Richichi received a scholarship from the Pastel Society of America to attend the Art Students League in New York City. Linda quickly found national acclaim as a portrait painter, but in 2001 she felt a calling for the wild. She turned to plein-air painting, as she found that Mother Nature was the healing energy she need to recover from deeply resonating personal loss. 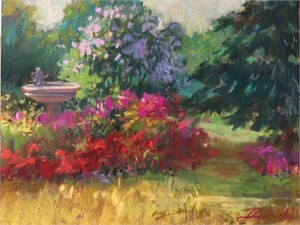 Linda is a current member of the Oil Painters of America and a signature member of the California Plein Air Painters, NY and International Plein Air Painters. 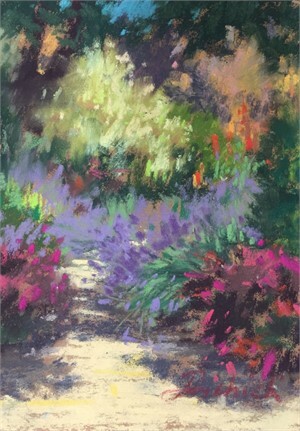 Richichi was recently honored with a Signature Set of Linda Richichi "Color and Energy" Pastels from Jack Richeson Company. The set contains 80 pastels. Local business Art and Frame describes the set: “the full spectrum of color flows over all of nature and this set is designed to give you vibrant pigments to capture this energy.” The special edition set has contributed to a fervent rediscovery of her passion for the medium, and she continues to explore its possibilities. Richichi also enjoys using pastel because its pigment remains true, creating a lasting bond between the space in which she paints and the paper. “Summer Solo: Linda Richichi” Exhibition Opening Reception Friday, August 10, 6-8PM Linda Richichi combines the logical and emotional mind, where details and realism collide with color and abstraction. 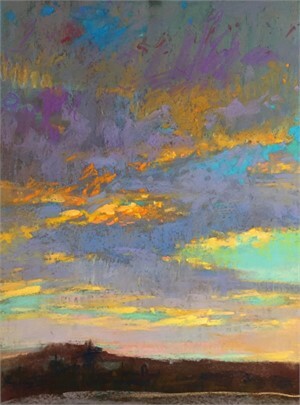 This exhibition presents pastel and “plein-air” paintings by the Sarasota-based artist. 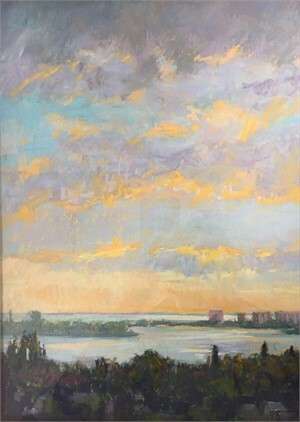 This body of work features skies, seas, and fields from scenes around Sarasota and recent travels. 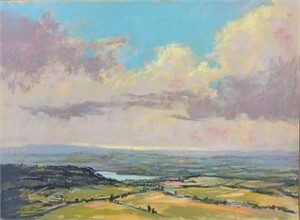 In addition to these small works, the show presents two large works that were directly inspired by her plein-air studies. This exhibition highlights not only Linda’s technical skill, but also her imaginative reinvention of what is in front of the eye, as her attentive use of color renders some areas as abstraction while others retain their representational hold on the natural settings of her work. 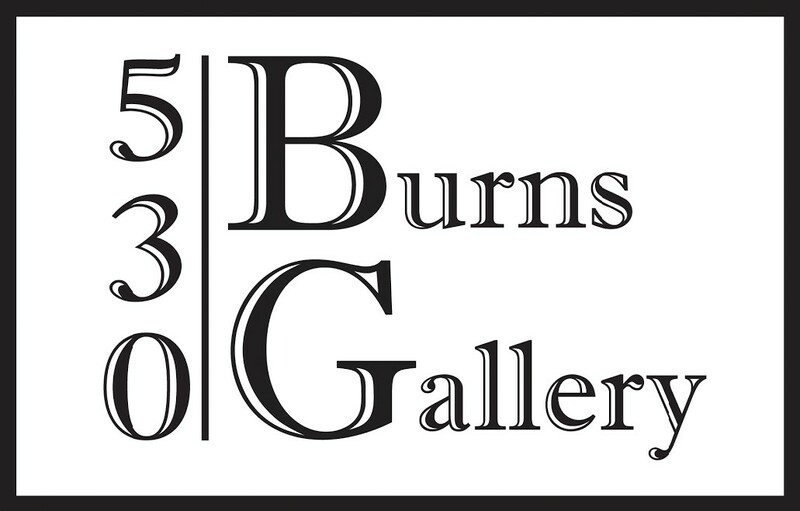 530 Burns Gallery will have an opening reception on Friday, August 10 from 6-8PM, and Linda will give a “plein-air” painting demo from 6-6:30PM underneath the Banyan tree between 530 Burns Gallery and Owen’s Fish Camp restaurant. 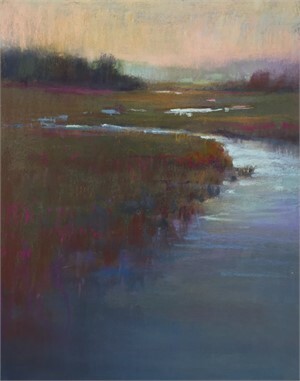 After graduating in 1994 with a Bachelor’s Degree in Fine Art from SUNY, Richichi received a scholarship from the Pastel Society of America to attend the Art Students League in New York City. Linda quickly found national acclaim as a portrait painter, but in 2001 she felt a calling for the wild. She turned to plein-air painting, as she found that Mother Nature was the healing energy she need to recover from deeply resonating personal loss. 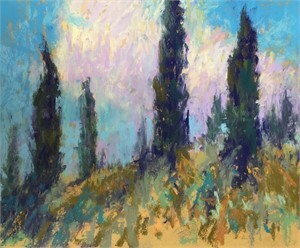 Linda is a current member of the Oil Painters of America and a signature member of the California Plein Air Painters, NY and International Plein Air Painters. 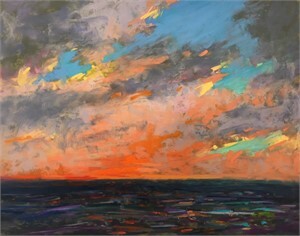 Richichi was recently honored with a Signature Set of Linda Richichi "Color and Energy" Pastels from Jack Richeson Company. The set contains 80 pastels. Local business Art and Frame describes the set: “the full spectrum of color flows over all of nature and this set is designed to give you vibrant pigments to capture this energy.” The special edition set has contributed to a fervent rediscovery of her passion for the medium, and she continues to explore its possibilities. Richichi also enjoys using pastel because its pigment remains true, creating a lasting bond between the space in which she paints and the paper.